Guess what? 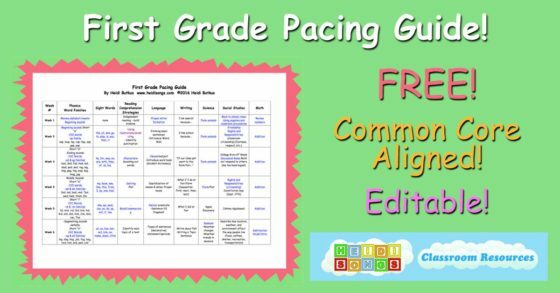 I've finally completed a FREE, editable, Common Core aligned Pacing Guide for First Grade, and I'm posting it here for you today! 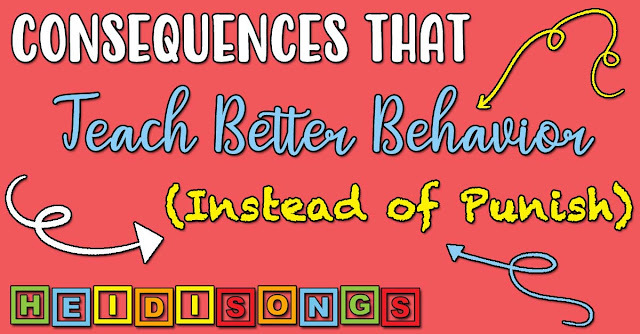 If you've ever wanted a way to help make your weekly lesson plans go just a little bit easier and make sure that you didn't miss any of the major standards, then a pacing guide is just what you need! I hope that it is helpful to you! I'm also including an editable version for you, so that you can make your own changes and make it your own. 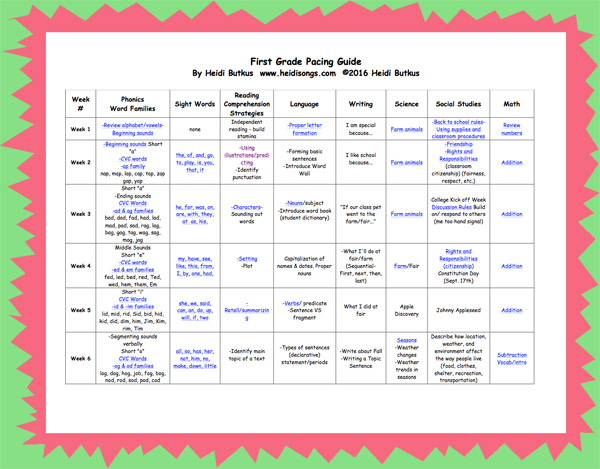 This pacing guide also contains links to any HeidiSongs products I have that help to teach the skills listed. So if you use it online, you can click on any of the underlined words and it will take you to my site for information on teaching those skills through music and movement. However, the pacing guide can certainly be used with any curriculum and any products! Last year when I was assigned to teach a first/second grade combination (split) class, I spent a LONG time searching for a first grade pacing guide that would tell me which SKILLS to teach, and in what order. There are a few first grade pacing guides out there, but I never found exactly what I was looking for. I wound up asking my AWESOME team leader for one, and she actually made a really great one that covered much of the school year. I wound up modifying it and using it often. I am sooooo grateful to her for her help with that! Thank you, Kelsey! - A weekly phonics word family to introduce, with a word list. (The words are all covered in my CVC Book, Vol. 2, and my Sounds Fun Workbooks, Vol. 1 and Vol. 2.) Click on each link and get the free sample download to see a word list. - A weekly writing topic. 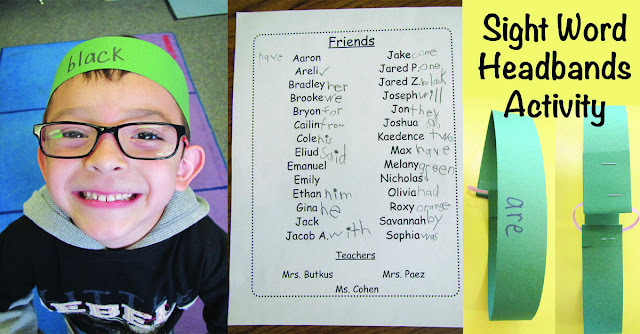 These start with expository writing, then move to opinion, then narrative, with a few "how to" assignments and some letters to write thrown in there as well. - A weekly science topic. - A weekly social studies topic. Using a pacing guide is easy! Just keep it on a clipboard or pinned to a bulletin board near your desk. Each week when you are ready to do your lesson plans, make sure that you introduce the new topics on the guide. 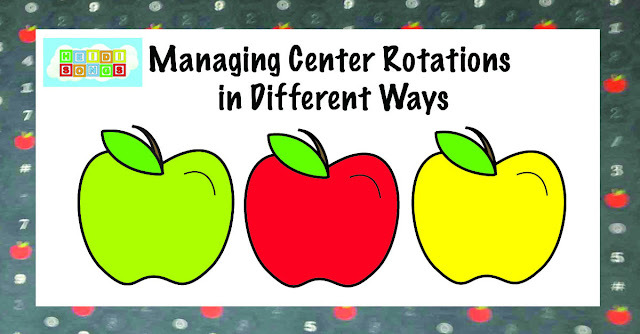 If you don't have time to introduce one, circle it in red or highlight it, or do SOMETHING to remind yourself that you'll need to circle around and do that one later. You may be wondering if I sell products to cover every single topic. Not at all! If there is a link (the skill is highlighted and underlined,) then you can click on that link and find the materials I sell for that skill. But I do not have products to teach single skill on the chart! Just a note: I am providing you with the editable version of this pacing guide for your personal use, not for you to post it on your own blog, website, or TPT store, etc. Please respect my copyright and do not repost. Thank you! Now the next question is, am I working on a second grade pacing guide? YES! I'm hoping to have it finished soon- maybe even by next week. Keep watching! We are all in this together, and I'm doing my best to share whatever I can!